Greenman House | Historic Jacksonville, Inc.
Like a number of other Jacksonville buildings, the 1 ½ story house at 340 N. Oregon Street was moved from its original location—the corner of California and 5th streets. By 1866, Dr. E.H. Greenman had acquired the property at the California intersection and constructed a small rectangular building. Regular advertisements in local newspapers soon promoted Dr. Greenman’s services. 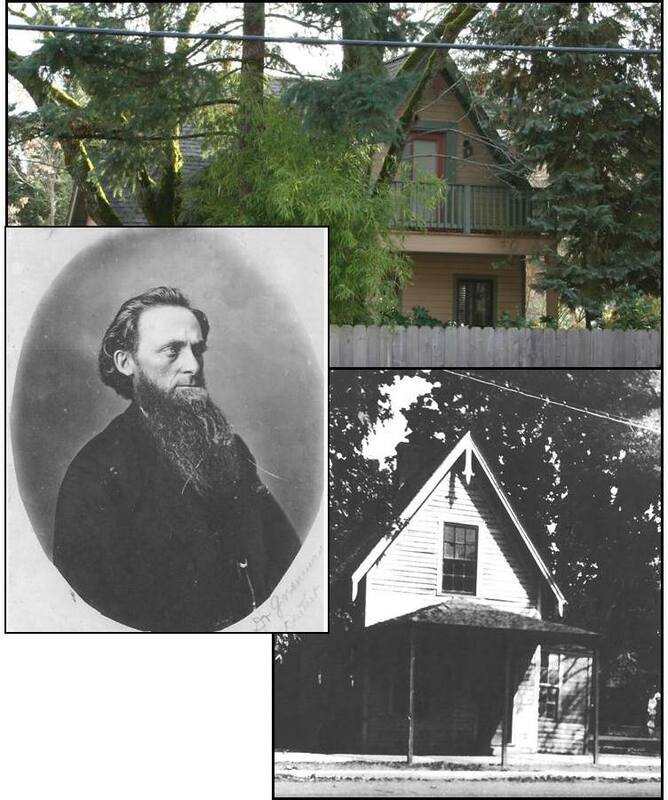 In 1869, Greenman sold the property to Dr. Will Jackson, for many years the local dentist. It’s unclear whether Jackson’s office survived the catastrophic fire of 1874, but the present structure appeared on that site by the early 1880s. Jackson appears to have occupied the building for the next decade, after which it housed another doctor and then a notary public. The structure is believed to have been moved to its present N. Oregon Street site in the late 1920s.